A warm summer evening, a cool flowing breeze, a stroll in the park. Doesn’t it sound good? Parks have always been a place where people can spend time away from the usual hustle bustle. They give us an opportunity to unwind in nature’s lap. Starting Sept. 24, 2016, Mississippi Mills, Canada will be home to Metcalfe Geoheritage Park. Located at 250 Almonte Street at the bottom of Bay Hill, it is not a regular park. 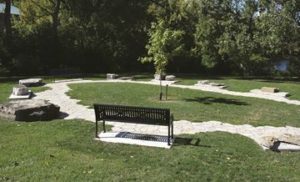 This park has on permanent display, an array of local stones. Some of the stone specimens date back to 500-450 million years.The specimens include limestone, sandstone, dolostone, etc. 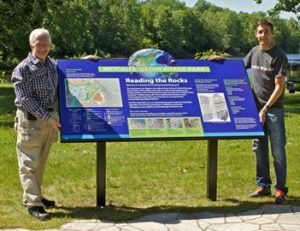 The Metcalfe Geoheritage Park is the first of its kind in Canada. The Mississippi Mills municipality and the Mississippi River Power Corporation partnered for its construction. The many rocks on display here today are from the literal foundation of Mississippi Mills and they play a key role in our daily lives. The park serves as a connect between its residents and the local heritage. The local municipality is now working on increasing the number of visitors to the park. For this, authorities have decided to share brochures with QR Codes. The Association of Professional Geoscientists of Ontario (APGO) will design these QR Codes. The QR Code will encode detailed information about the park and the specimens displayed. The encoded information will be in the form of pictures, audio, video and text. Visitors can view this information on their smartphone or tablet. They just need to scan this QR Code with a smartphone equipped with a scanning app. Designing the web page and content for the QR Code is still underway. Other than Metcalfe Geoheritage Park, a lot of parks and zoos across the world are using QR Codes to enthuse citizens. This is one way how Canada is using QR Codes for various use cases. What do you think of this idea? Share your thoughts in the comments section below.